Seriously, I can’t with most super hero movies. I’d debatably rather get my teeth cleaned than sit through The Avengers. But I like Spiderman and Superman because they always put their ladies first. They love hard and they’re hot nerds. 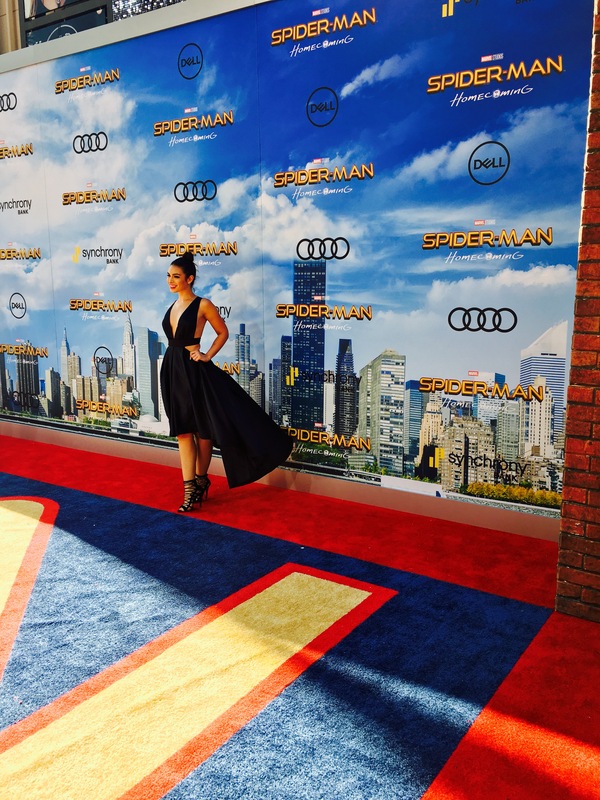 I wore this very affordable ($49) black ballerina dress from Sierra Renee to the Spiderman Homecoming Premiere. I’m wearing is Hourglass’s “Lover” on my lips and my shoes are from Public Desire.